In 1993, cellarmaster Jean-Pierre Mareigner decided to pursue a project that had originated with Albert Gosset (15th generation, 1915-1991) — a prestige cuvée that would represent the best of Champagne Gosset. 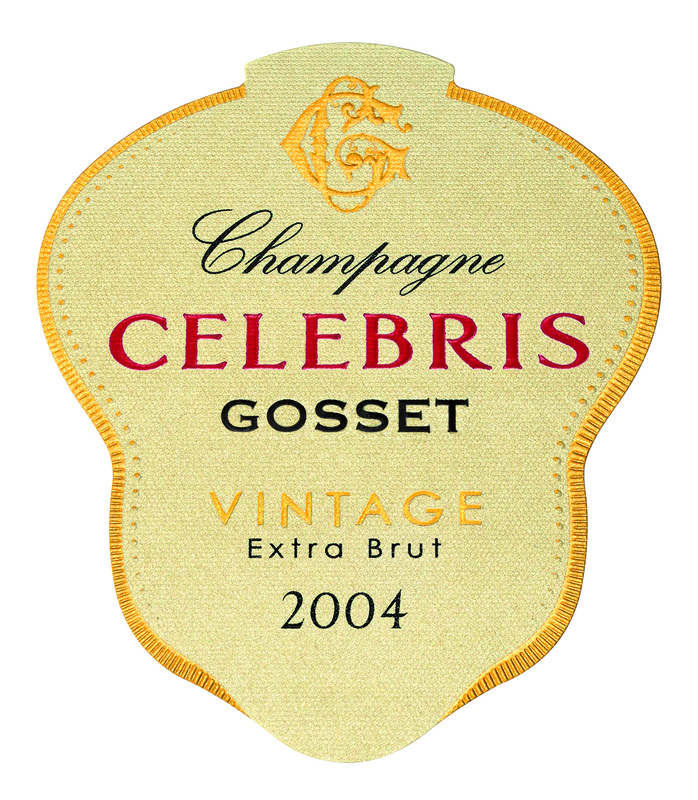 Thus was born CELEBRIS, a 1988 vintage cuvée, sold for the first time in 1995. 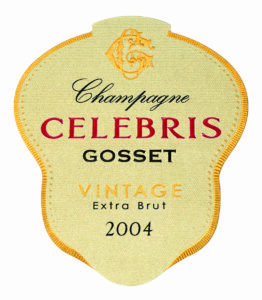 This cuvée is the culmination of the Gosset style and immediately joined other high-end champagnes in its class. The great aromatic complexity and beautiful finesse that distinguishes this wine mean it can be paired with the most elaborate dishes. The 2004 vintage began with a mild spring and summer, a welcome contrast to the heat wave of 2003. Wet, cool weather in August slowed berry development and raised some concerns, but sunny weather returned in September. The combination of sun and wind accelerated maturation and harvest began the last week of September. Ideal conditions in the spring and early summer, and for the final phase of maturation, resulted in a high-quality, bountiful harvest. An opulent appearance, bright pale gold with emerald green highlights characteristic of wines with a high proportion of Chardonnay. The bubbles are fine and rise in a thin and persistent ribbon. The nose has ripe aromas of frangipane, Tarte Tatin, honey or salted butter caramel refreshed by aromas of pear, pineapple or citrus fruits such as kaffir lime citron and sweet lime. The palate is open and flawless with salty notes followed by complex aromas reminiscent of pear, grapefruit and yuzu. This wine’s pure and fresh characteristics make it the perfect accompaniment to food but with patience it will reveal all its complexity and richness. Serving Suggestions: Suggested Serving Temperatures: Between 10° C and 12° C (50° F and 53° F)Suggested Pairings: A perfect aperitif or with unusual food pairings such as Aveyron lamb, globe artichokes, Tonka beans or Brie de Meaux with vanilla. "This rich Champagne is soft and creamy, with orange zest, ground anise and light, tangy acidity enlivening the glazed apricot and pastry crust flavors. Offers a bright, expressive finish."